New York – With the clock ticking down to both the New York State budget deadline and to Passover, a Brooklyn lawmaker is being blamed as the final roadblock to the passage of a $168 billion package. A statement released by Assembly Speaker Carl Heastie said that 99.9 percent of the details have been worked out, with just one hurdle left to be cleared: educational policy regulating non-public schools. 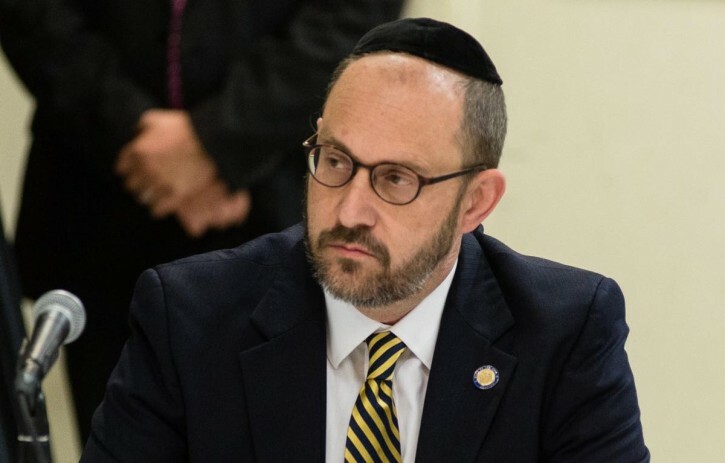 Numerous reports have emerged on social media casting Senator Simcha Felder as the person responsible for the budget holdup as he advocates for yeshivas to be exempted from certain curriculum requirements. The New York Post reported that Felder acknowledged that issues that he had raised had yet to be resolved, but that his concerns were not the only impediment to the budget being passed before the March 30th deadline. But Heastie disagreed with the Democratic Felder, a pivotal figure in the Senate because he caucuses with Republicans, giving them a majority. “After months of hard work to craft a spending plan for New Yorkers, the state budget is being held up by an unrelated non-budgetary demand in the State Senate,” said Heastie. A Daily News editorial slammed Felder for the delay categorizing his attempt to exempt yeshivos from state oversight as “blackmail” and calling on Albany lawmakers to call Felder’s bluff. “Better to shut the government down than to let one man pervert public policy like this,” wrote the Daily News. Reached via text message just after 3:30 PM Felder told VIN News that he was still in Albany. “Still voting and then trying to get home in time,” said Felder.